2009 was the bicentenary of the birth of the English writer, translator, critic and amateur artist Elizabeth Rigby, Lady Eastlake (1809-1893). Bringing together a comprehensive collection of her surviving correspondence, the Letters of Elizabeth Rigby, Lady Eastlake reveals significant new material about this extraordinary figure in Victorian society. 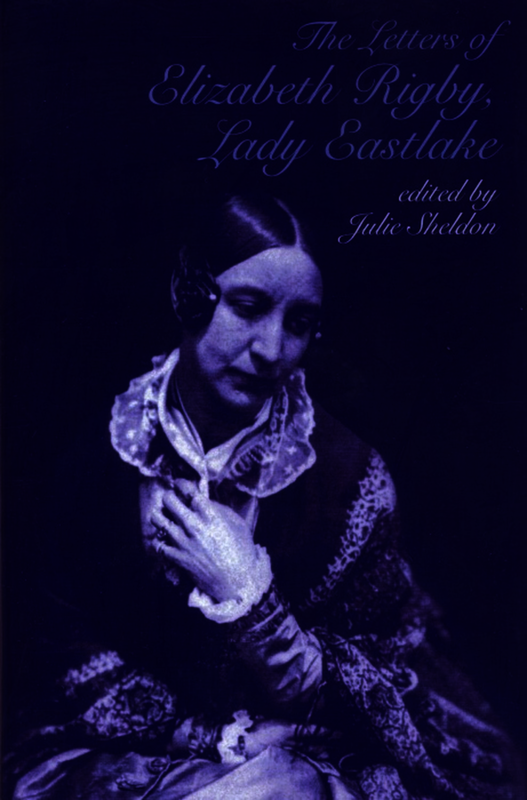 The scope of Lady Eastlake’s writing is wide and interdisciplinary, which recommends her as a significant figure in Victorian culture, giving rise to revelations about the ways in which different cultural activities were linked. Lady Eastlake lived for extended periods of time abroad in Germany and Estonia, and wrote an early work about her impressions of the Baltic, her subsequent writing took the form of reviews for the periodical press, including reviews of Jane Eyre, Vanity Fair, Ruskin, Coleridge, and Madame de Stael. She also wrote on women’s subjects, including articles on the education of women. However, the great proportions of her publications are art-related reviews: she wrote one of earliest critical texts on photography and produced several essays on artists. The lively correspondence of Lady Eastlake not only contributes to a more holistic understanding of nineteenth-century culture, it also shows how a well connected woman could play an important role in the Victorian art world. An Open Access edition of this work is available on the OAPEN Library. Spirited and outspoken, Lady Eastlake had a significant impact on the life of mid-Victorian London. Julie Sheldon’s meticulous edition of her rich correspondence makes a powerful contribution to our understanding of the cultural controversies of the period, and of the part that a confident and well-connected woman could play in these debates.